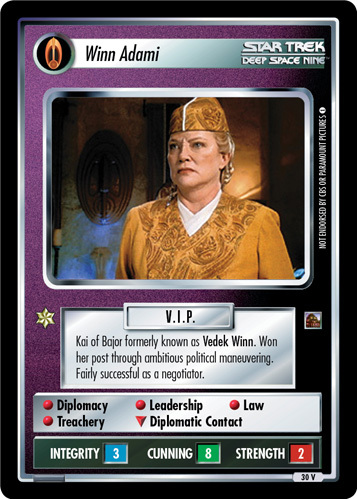 Vedek Winn became Kai of Bajor in 2370. Concluded Cardassian treaty negotiations by Bareil Antos. Finally accepted Benjamin Sisko's role as the Emissary.